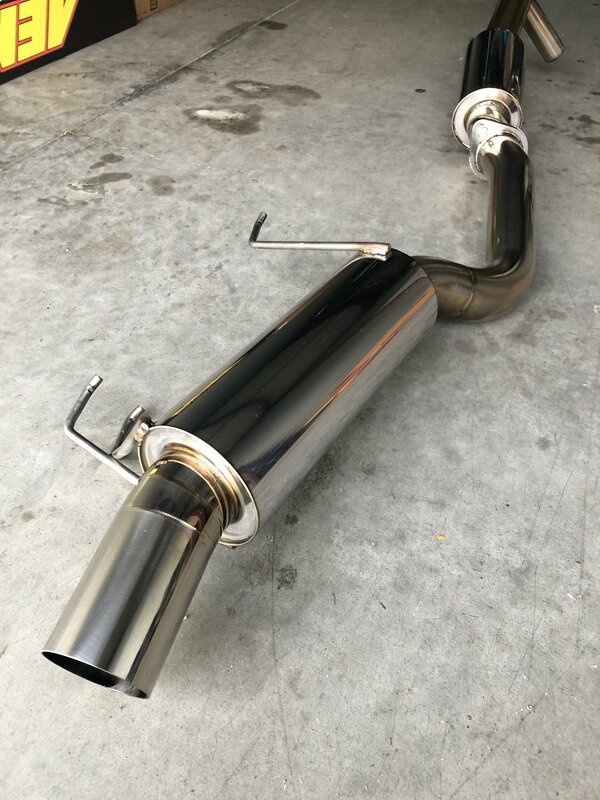 Cat-back exhaust system from an independent tuning/fabrication shop in Japan. Made of stainless steel, 70 mm main piping, 80 mm tip, one muffler. 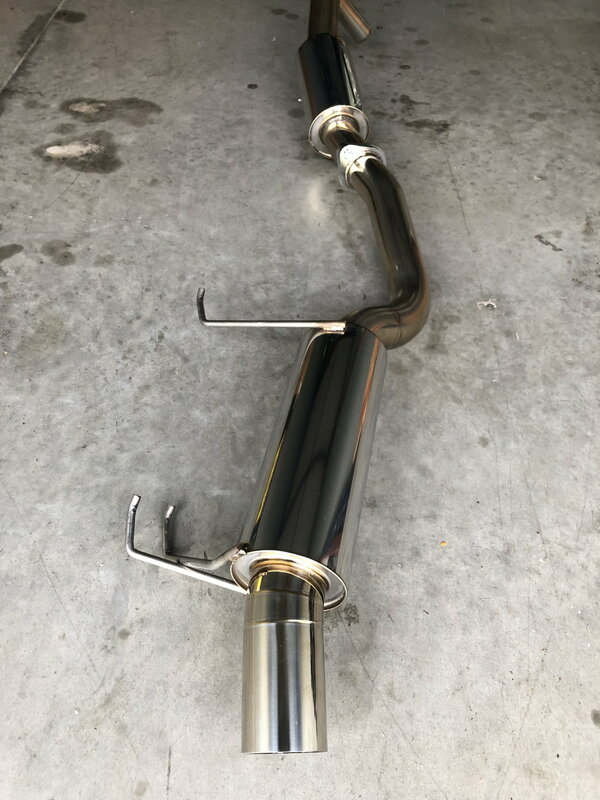 I'm looking for the right buyer that wants to take this exhaust at a nice discount. Retails for $975, selling for $800. This exhaust was on my car for two weeks. The exhaust note is really good but I am getting older and it's too loud for my taste. Where are you located? Are you willing to ship? Sorry, first post ever. I am in Los Angeles. I only want to deal with local pick up. Update with the required template and info.